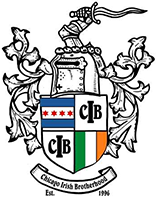 5th Annual Chicago Irish Brotherhood Golf Outing. This year’s event will be held at Carriage Greens Country Club in Darien. $125 fee includes 18 holes of golf with a cart, pre-golf cookout with beverages, and a post-golf banquet which includes an all you can eat dinner buffet and 2 hour full open bar. For non-golfers, post-golf dinner tickets will be available for $50. Sponsorship opportunities include: Event Sponsor for $2,500 (includes two foursomes) and Hole Sponsorships for $100. Spots are limited so buy your tickets here today! For more information or if you are interested in donating a raffle prize, please contact event Co-Chairmen Tom Egan at thomas.p.egan@gmail.com or Patrick Hynes at pat_hynes@yahoo.com. We thank you for your support and look forward to seeing you there!